The Client wanted to redesign her branding with something fresh, modern and eye catchy. She wanted the name, "Mozaic", to be part of the design. We created a mosaic pattern and used it in the design for her logo and other Branding. We took the approach further by adding modern triangles with the color spectrum to give it that modern mosaic feel. 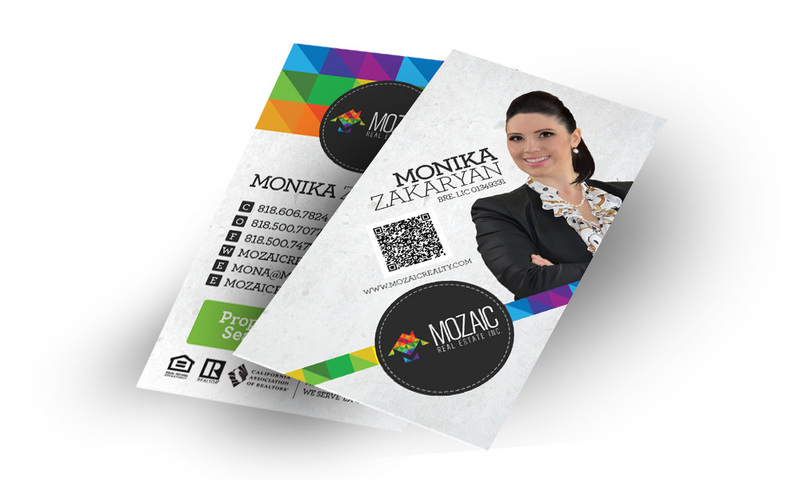 The business cards were printed on heavy silk stock paper with Spot UV.